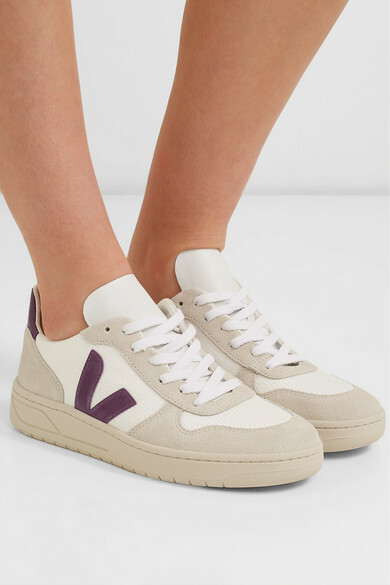 Veja's 'V-10' sneakers became famous when Emma Watson first wore this colorway back in 2016. 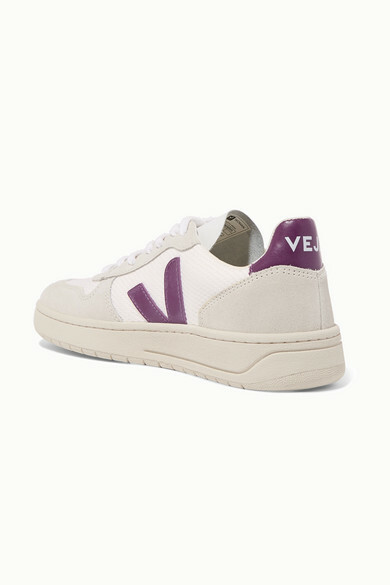 Sustainably made from mesh derived from recycled plastic bottles, they're paneled with vegetable-tanned suede and decorated with purple leather heel tabs. 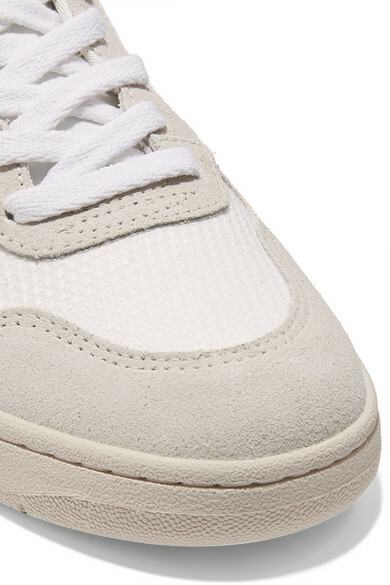 The bouncy soles are crafted from Amazonian wild rubber. 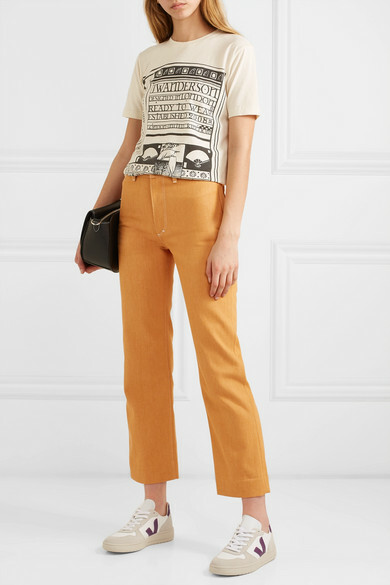 Shown here with: SIMON MILLER Jeans, JW Anderson T-shirt, JW Anderson Shoulder bag, Sophie Buhai Earrings.